Setting up your business in Singapore is the right thing to do as you are going to benefit a lot when you make this move. World Bank ranks it as one of the best nations in the world to start up any business. The tax structure in this country is quite attractive. By taking this step, you are going to grow your business quickly. You can hire some of the best people to your team who will work diligently to transform your business. Singapore helps you to connect with the world with ease. Since it is in the center of south-east Asia, doing business with the neighboring nation is not that difficult. Dalen Cheng from KC Ha Consulting explains that Singapore is rated one of the top places to start a business because of its investment potential. Unfortunately, not many people know of these facts. And most importantly, most entrepreneurs do not know how to set up their business. Using a consulting company is the best way to start your business in Singapore. It is the wisest thing to do if you do not know where to begin. Of course, many firms are providing this type of service. 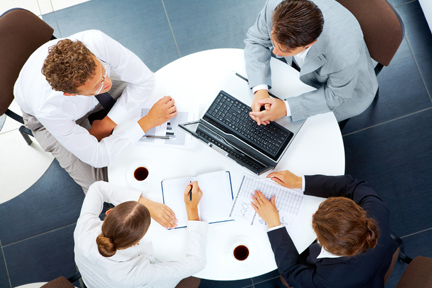 It is essential for you to do the following to find the best consulting firm in Singapore. Now, this is the best option that you have if your friend or peer has started a business in Singapore. It is wise to contact them and check with them to see if they used a consulting firm. If yes, take the contact information of the representatives of that company. The reasons it is wise to use this option is because they are a witness to you of how well that firm supported them to set up the business. If there are any negative aspects about that company, your friend or peer is going to inform you about it. If you do not know anyone in Singapore, that’s fine. You can use the internet to locate the best consulting firms in this country. Take time to go through their websites. If you do this thing, you will quickly know about the services that they are going to provide. Check the reviews to see if people who use their services are happy and content. If yes, that is great. If not, it is wise to skip that company. Once you have a list of good consulting firms, take time to schedule an appointment and contact them in person if you are in the country. If not, plan to do a video call. Learn about the company from them. Understand the process or procedure that they are going to follow and the rates that they will charge. Request them to send their quote giving their best price. It is wise to consult more than three companies and request quotes from them. Compare the prices to understand the market price. Select the best consulting firm and negotiate with them to get the best deal. These are the four simple steps you need to follow to find the best consulting firm that will help you in starting up the business in Singapore.